IF YOU DON’T KNOW WHAT YOUR LADY REALLY WANTS FOR VALENTINE’S DAY THEN YOU PROBABLY SHOULD BE READING THIS. 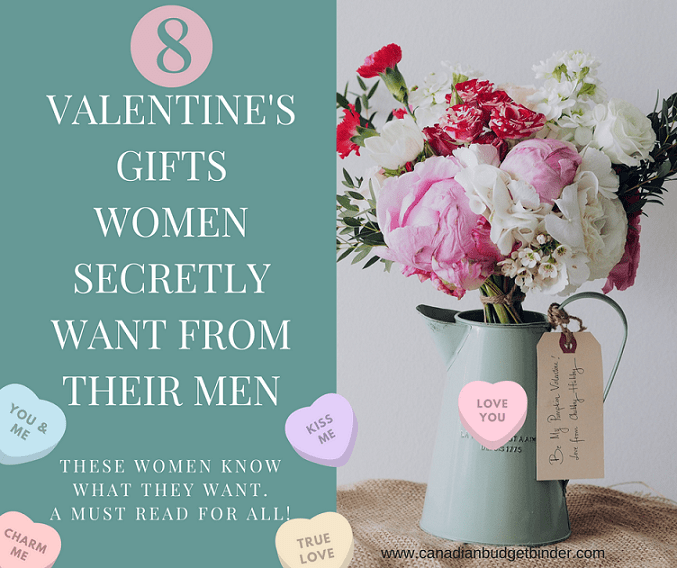 What do women want for Valentine’s Day Gifts? You’ll be shocked to know it’s not always what you think it is. Of course that depends on your partner. Just about every man who is reading about gifts to buy women on Valentine’s Day hoping to get it right might just get it wrong whether it’s their first or tenth round at romance. Ask almost any guy and they will tell you that when they buy Valentine’s Day Gifts they simply go into a store and just get something, anything no matter the price. If it looks pretty, we’ll take it. In our minds having a happy partner on Valentine’s day trumps the high costs of this commercial celebration of love. The key is not about buying Valentine’s stuff for the woman you love rather it’s about knowing what she secretly wants for Valentine’s gifts and most often it’s not what you think and it’s less expensive. Get it out of your head that every woman wants jewellery, chocolates and dozens of red roses for Valentine’s Day gifts. That’s old school love and although roses are still the flower of choice for Valentine’s Day red roses aren’t the only option. Finding out what the different colour roses stand for often help to change-up a predictable Valentine’s Day gift that she might be expecting from you. Give her what she wants mixed with a surprise element that she won’t expect. Go for a mix of roses, daisies and other flowers to present to her with a nice love note tucked inside. Just about every grocery store in Canada has flowers for a decent price on Valentine’s Day. A dozen red long-stem roses at Metro will cost you $24.99 this year. Not bad for a week or so of beauty in your home but a lifetime of memories for your partner. What does she really want then? Your guess is as good as mine (she’s your girlfriend/wife) and that’s why I asked the ladies on my Facebook page to tell me what they want from their boyfriend/husband on Valentine’s Day. You can read the juicy details below from the ladies and although a couple of them shocked me most of them were fairly simple. I’m not a huge fan of Valentine’s Day because every day is Valentine’s in our relationship. I absolutely recognize Valentine’s Day though because I enjoy special days where the wife and I get to love each other just a little bit more. There are days she lets me sleep in and days I let her sleep in when I’m not working. I might even clean the house or wash the floors something that she tries to tackle while I’m spending my days on the job. Sometimes I bring her home a McDonald’s coffee and then I’m in the good books for the rest of the night. Why? Because I know what my wife wants and enjoys. My wife is so easy to please that I don’t wait for Valentine’s to let her know how much I love her. Personally I think men are over-thinking the entire Valentine’s Day gifts and when you start an expensive trend in a relationship you can expect to continue it. You can’t go from spending $200 on roses, chocolates, movies, dinner and a necklace and the next year buy her a CD and pretty nail polish although many women would love to receive this a personalized gift. Here’s the thing though. If you don’t plan to continue what you are doing after moving in together or marriage don’t do it at all. Once you have a mortgage, rent, kids and other responsibilities that you might now have when you start a relationship money can get tight. Unless both of you understand the financial position you are in one of you might get a bit upset that the Valentine’s day gifts are on the slim side. Maybe all you can offer is a coffee date and a homemade card. Relationships can break down over money and expectations especially when splashing cash was no object during the early months of dating. When I read what they say I understand that the ladies need some down-time and to be pampered without any worries for the entire day. That means no kids, a clean house, dinner cooked with a clean kitchen, back massage and some kissing and hugging. Ya, you dummy you just blew a tonne of money for nothing. Stop spending so much when all she really wants is your time, attention, cleaning abilities, cooking skills and a quiet night without any snoring or farting between the sheets. That’s my kind of woman and lucky for me I have a wife who loves when I cook dinner (which is often), does the laundry (every week) and gives her hugs, kisses, love and attention (every day). Coming up with unique Valentine’s Day gifts for my wife is always challenging but I know that she doesn’t want me to spend money on the commercialism of a day that should be built-into a loving relationship no matter what. I’ll still make her a Valentine’s day card including a hand-written poem. Our son has more than enough crafts in his art centre that I could whip up something pretty cool. I won’t say exactly what I am going to do just in case she reads this post but all I know is that I used to get it wrong. As a guy I know that buying or even making gifts for the woman in our lives can always be challenging but rewarding especially if we get it right. The last thing we want to see is a sad face because we bought her red roses and white chocolates for Valentine’s day gifts instead of white roses and milk chocolates. So let me break it down for the men reading this so you make sure you’ve covered all of your bases. Ladies if you’re reading this you might want to casually leave it open on your computer screen for your husband or boyfriend to read or simply just say, “Hey I have something I think you would enjoy reading” and hand it to him. You’re one step closer ladies. Men, grab a seat and lets talk for a few minutes. I learned some stuff this week about Valentine’s Day gifts that I think you should hear about. Whether you think you’ve mastered this special day bursting with love and emotion you may have done too much or possibly too little. Don’t panic she isn’t sending you a jail card rather this is more about knowing your partner instead of spending money on stuff she doesn’t care for. For the love of all things on Valentine’s Day at least make or buy her a Valentine’s Day card. You’re in safe territory with the card which means you thought about her. Whatever you do don’t run out at the last-minute like a donut scrambling to get Valentine’s day stuff because you’ll spend too much money and she’ ll know that you put her last on the list. Don’t even try to tell her you were too busy either especially if you forgot. Even worse please don’t ask her what she wants or what she wants to do for Valentine’s Day. Women don’t care for men that aren’t planners when it comes to holidays and special days including Valentine’s Day. Being on top of your game is important so plan out the holidays you need to be aware of all year and start thinking about what you’re going to do today instead of waiting for tomorrow. Not all women care if they get something on Valentine’s Day. You should know this about your partner but like I said there must be a card, poem or hand-made craft of sorts. Clean the house. It doesn’t get any easier than that especially when you see the smile on her face. A break from cleaning is always a pleasure that any woman would soak up if even for a day. Spend time with her especially if you are a busy partner who isn’t around as much because of work, travel or she works opposite shifts from you. Go for a walk, hold hands, cuddle, talk about memories and make some new memories with her. Cost- Time and I’m sure she’s worth every minute of it. When she gives you a honey-do list, do it and shut up about it. No whining or complaining and taking forever to get the tasks completed. If you are going to give her a new bathroom don’t wait 4 years to finish it. Plan something, anything even if it’s the next day. Show her that you thought about her and planned a date even if it is for a free concert a few days after Valentine’s Day. She will understand. In the meantime pamper her at home with any of the above. Let her enjoy an evening without the kids by hiring a babysitter and planning something special for the two of you. Ideally if the sitter can watch the kids at his/her house that would leave you an empty house to do what you wish. If not then have the babysitter come over to the house while you plan something outdoors or at a venue. Sometimes just sitting on a park bench overlooking the water with a hot beverage is all you will need. Make sure somewhere in your pockets you have chocolate and feed it to her. You’ll melt her heart all over again. Valentine’s Day Gifts aren’t just for the evening. Start your morning off with some Valentine’s gifts and love in the bedroom. Bake her some cookies or breakfast in bed and leave love notes all around the house for when she gets up. You can even get fake rose petals at the Dollar store that you can scatter on a bed or down the stairs. They won’t leave any stains if they get mushed into the bed sheets or on the carpet either. Easy clean-up for a buck or two. 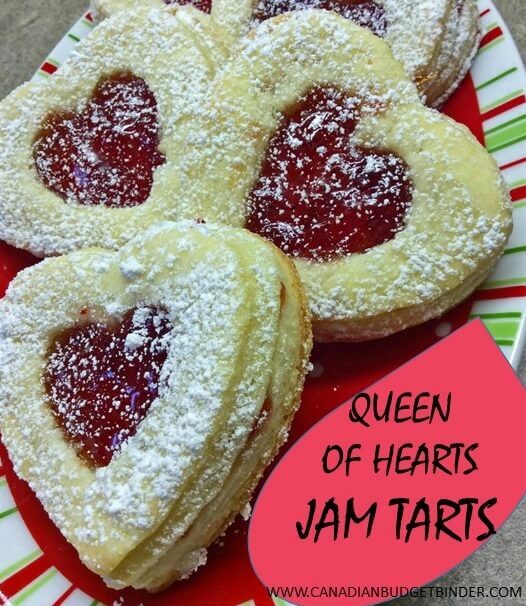 Queen of Hearts Jam Tarts are easy to make for that special someone for Valentine’s Day. Women wish men could read their minds but sadly we can’t and we are horrible at picking up on clues. One of the best tips I can give the ladies is to tell your man what you like or want but not the week of Valentine’s Day. It could be in conversations you have in December while it’s snowing outside or swimming at the beach in the summer. Casually have conversations or make comments, we don’t forget. Any man who truly loves his woman will listen to what she says and store it in his conversation bank. Help, as in assistance. With most women working I think they would like their guy to help with housework and the kids. If they can really afford it, maybe something special, flowers, candy or an evening out, but it is crazy to spend money people can’t afford for a holiday!– Pat S.
Honey-do list completed, without hesitation, a lot of questions or complaints. A date night out, doesn’t have to be on the 14th, but 100% planned and arranged.- Christine S.
House cleaned without asking and a nice dinner out planned! I don’t want to be ‘asked’ or have to make all the arrangements! !– Andrea L.
I’m not that into Valentine’s Day, but I sure wouldn’t turn down a vase of Gerber daisies and a black Forest Cake, lol.– Tanya M.
Little love notes left around the house, would be another nice thing he could do.– Andrea L.
Get the kids out for the day. Let me watch crappy TV eat not good for me food and nap!– Jackelyn G.
Time with my sweetie…I don’t care where we go, what we do or where we eat. – Mary C.
To stop giving me a to do list of things he can do on his own. I’m thinking the idea of shooting at the range is a good idea.– Mona M.
Dinner cooked and the kitchen cleaned up afterwards.- Kelly J. Not just about women. Maybe a couple would just love to have a family member take the kids for the evening and allow them to have an evening to do whatever they want. No kids, just I love, appreciate and cherish to each other would be great. Single, thanks for being a great friend.– Tammy J. 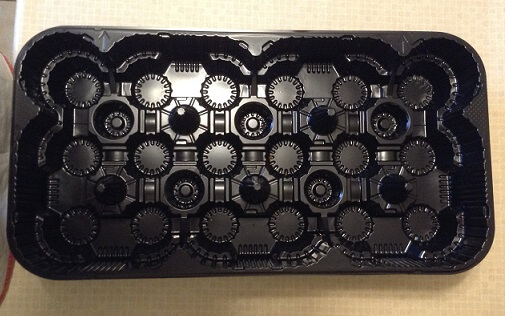 A romantic gesture like a shoulder / back massage for aching muscles from shovelling snow.– Fran K.
Several boxes of 9mm ammunition and a visit to the shooting range.– Denise C.
New oven mitts? or take the car for an oil change or car wash as a surprise.- Nicole J. A day at the spa, all alone, with a massage– Sylvie M.
Discussion Question: What does your husband or boyfriend buy you for Valentine’s Day gifts and what do you actually want from him? Share your comments in the comment section below. Happy Valentine’s to everyone reading this today even the guys who I’m sure will be spoiled from their lovely ladies. It goes both ways…love is teamwork just don’t break the bank to make it work. Related: Budgeting for love on Valentine’s Day. The week after the horrid virus we all had and there are still remnants as our little guy has had a snotty nose all week and a rough cough. I’ve felt the effects of working too much and I’m really thinking about giving up my second job or telling them I can only do 1 day a week. This is my dream job remember however I just can’t keep going working 7 days a week forever. Hurry up and hire me, I’m worth it! 🙂 I’m holding on as strong as I can. Other than that a bit of snow, ice and rain and the week ended on a good note. Boring I know but that’s the life I get right now until things get sorted. In between it’s all about my family and the love we have for each other. Soon we’ll be on a plane flying away for holidays and I can’t wait. Hello fellow CBB readers! My name is John Groen, author of The Declassified Dollar, and it is an honor to be featured in the MAD series. I started blogging about personal finance 3 months ago because I want to do whatever I can to help people understand how money works. When I was younger, my parents provided me with an excellent foundation to understanding finance. Then, when I moved out of the house and started managing my own paycheck, I read 3 books that shaped my thought process: Rich Dad Poor Dad by Robert Kiyosaki, The Millionaire Next Door by Thomas Stanley and William Danko, and Get Rich Carefully by Jim Cramer. Reading those 3 books inspired me to learn more about saving, investing, and making money work for me. Most days, I spend an hour or two reading books, blogs, and online articles about personal finance. The Declassified Dollar is a way for me to condense the lessons I’m learning into actionable steps that I can use, and it’s a way for me to share what I’m learning to help other individuals improve their finances. Thanks for taking the time to read my bio. 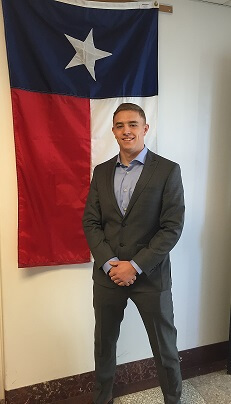 If you would like to learn more about making smart financial decisions, saving money, and investing for the future, feel free to visit Declassified Dollar and check out my blog. 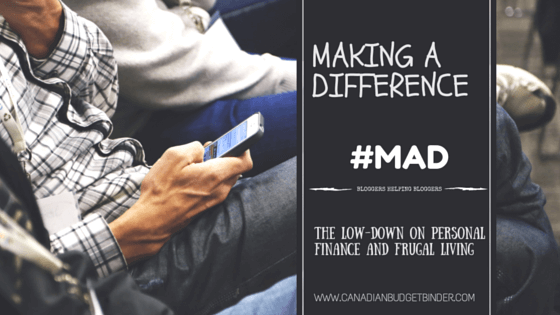 How many times have you tried to start using a budget but gave up? How many times have you said that you will start saving money but push it aside? How many times do you tell yourself negative things about your life because you don’t believe it will happen. Believe that it will and it will. 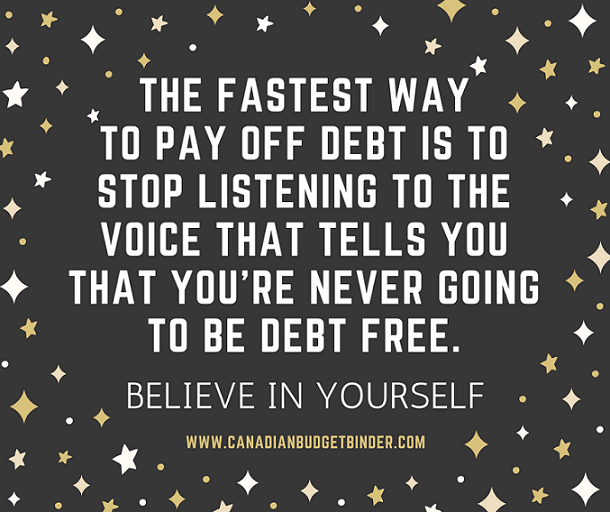 Stop being a negativity pusher and push yourself to debt freedom by believing in yourself. I read lots of finance posts from all over the world every week and I learn something new from each one of them. This week I stopped by the blog, Raptitude written by a guy named David. He recently published a post titled, “We Are Not Materialistic Enough” which caught my attention. Surely this must be wrong I thought but after reading this excellent post you’ll understand why I was wrong. How many times have we said, “Things aren’t made like they used to be”? Plenty of times I know I have went down that alley and in part as David suggests we are to blame. Consumers keep buying the cheap crap because it’s cheap which drives companies to make more cheap crap. The problem is cash flow for most people who need to buy stuff, now instead of saving for a better quality purchase. It’s hit or miss with us. Some stuff we buy is cheap and other stuff is quality however as I blogged in the past just because it costs more or is supposedly made better doesn’t mean it will be better. If we all just spent a little time saving money and buying quality items that we will use and not just collect dust around the house then maybe we’d have useful stuff that will last us longer. I loved his $63 stapler story. Enjoy the read. 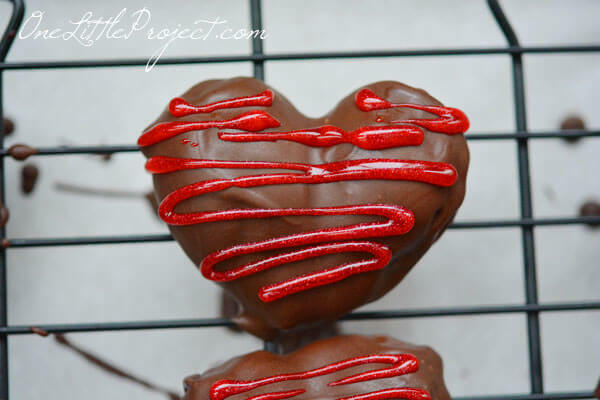 This week I was over at the food blog One Little Project once again because Debbie made these adorable Chocolate Valentine’s Day Hearts out of strawberries . Why didn’t I think of that? How cool and easy to make but likely time-consuming with the small details. Your partner would appreciate a dozen of these if he/she is a chocolate and strawberry lover. Very inexpensive to make. I bet you could even make them on skewers and wrap them like a dozen roses. 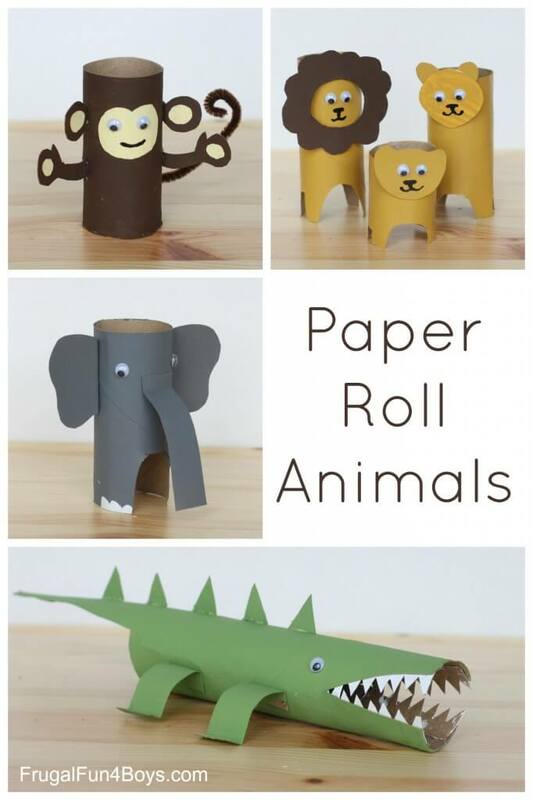 Over at Frugal Fun 4 Boys Sarah shows off some impressive crafts using toilet paper rolls. Finding things for kids to do can be as frugal as you want them to be or expensive. When indoor play is a must because of the weather having craft materials on hand is perfect fun for the kids. Now that I know this we’ll be saving a few of ours to create some funky characters like Sarah and her 4 boys have done here. Code 33 in a grocery store– I’m pretty sure it means Emergency bathroom break I’m about to piss my pants. Haha! My mum works in a bank and she always checks my account– Well you’re pretty much screwed for life unless you move banks. Then again I’m pretty sure she’s not allowed to be doing that. Living debt free and truly wealthy– Truly wealthy… why do I want to break out in a Lionel Richie Song here. Mood at 2% Chat at your own risk– WTF? Flip… it means flip. Groshrys– It does make sense though. PC crackers unavailable at RCSS for months!– Haha, the funniest! How much does it cost to feed in Canada– Feed what? The birds, chickens…oh you mean humans. Gotcha!